Shy by four votes, Congress shot down an amendment to a Federal Aviation Administration funding bill that would have mandated more legroom for passengers on airplanes. Since deregulation in the 1970s, space between rows has decreased by four inches. 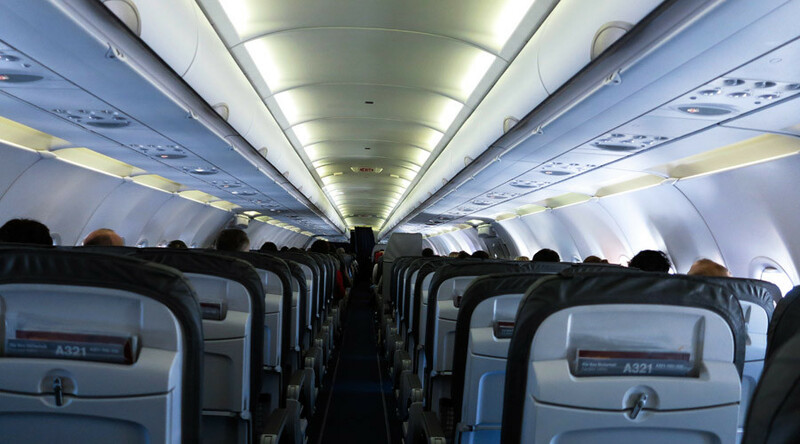 The amendment by Representative Steve Cohen (D-Tennessee), called the Seat Egress in Air Travel (SEAT) Act, would have established minimum seat size standards for the safety and health of airline passengers. “This isn't just a matter of comfort, it is about safety and health,” said Cohen when he introduced the bill, The Economist reported. Of additional concern is that the FAA requires that planes be capable of evacuation in 90 seconds or less, yet Cohen said it’s unclear if the current row sizes are up to snuff. “The FAA hasn't conducted emergency evacuation tests on airlines with a distance between rows of less than 29 inches. Some airlines fly with rows as close as 28 inches apart,” he added. The bill was shot down by the House Transportation Committee in a 26-33 vote, representing a victory for the airline industry that had “kicked back against any proposed regulation of legroom.” Congressman Cohen is set to re-introduce the measure as a stand-alone bill, according to The Economist. The amendment to the FAA’s funding bill was prompted by a petition to Congress last fall, signed by tens of thousands of passengers who endured cramped flying conditions on American airplanes. The petition, organized by FlyersRight.org, a non-profit organization representing air travelers, demanded new guidelines over the minimum distance between seat rows. Since airlines were deregulated in the 1970s, the average distance between seat rows has declined from 35 inches to 31 inches today. Added to that discomfort is the fact that the average seat width has shrunk from 18 inches to 16.5 inches. Another contributing factor is the dramatic outsourcing by the big three mainline airlines to regional carriers flying smaller aircraft. USA Today reported in 2014 that a government study recently found 61 percent of all advertised flights for American, Delta, United and American were operated by regionals in 2011, up from 40 percent in 2000.